WE SELL HIGH QUALITY FLOOR COATING KITS THAT WILL WORK FOR YOU! Thank you for visiting The Original Color Chips floor coating company. 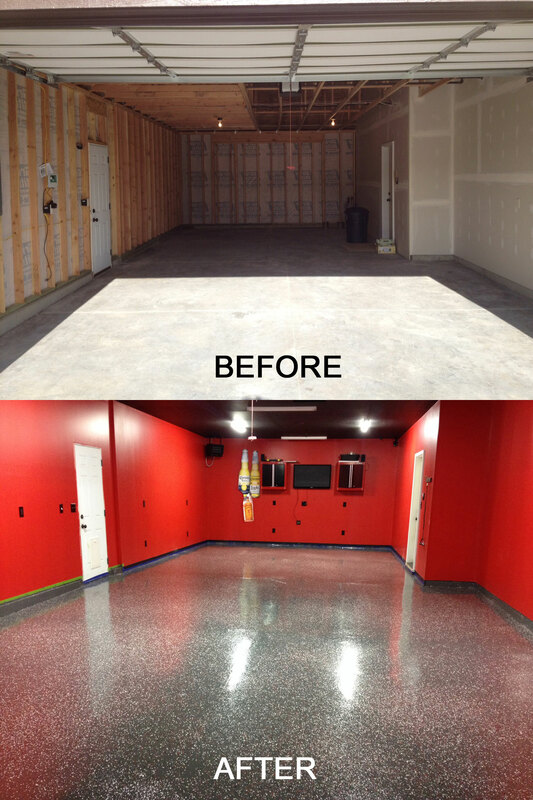 We are offering you some of the best and creative garage floor coating systems on the market today! Our epoxy floor coating kits can virtually be used anywhere, such as concrete and wood floor surfaces to bring creativity and life to a space. Typically, our epoxy floor kits are most often used as garage floor paint because of its durability and popularity. The coatings also works great on Laundry Room Floors, Basements, Shop Floors, Showrooms, Restaurants, Concrete Slabs, Kennels, Bars, Pole Barns, retail spaces, Interior Floors and Wooden Car Trailers. Just follow the simple 4-step process to create a custom floor finish that resists oil, dirt, water, grease and other contaminants. Let Us Guide You Through The Steps Of Applying Your Epoxy Floor Coating Kit. Get your completely customizable Garage Flooring Kit for less than .60 cents per square foot! 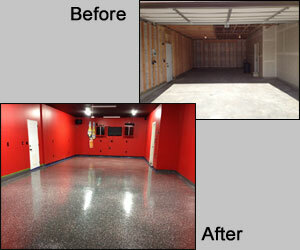 We developed our epoxy garage flooring with our customers in mind. For both the do-it-yourselfers and professionals, we have 12 base coat colors to choose from, giving you even more flexibility to create that custom garage floor that you have always wanted! We also have a great selection of decorative color chip flakes; making it possible to create the look that you desire. OUR GARAGE FLOOR PAINT KITS ALLOW YOU YOU ENDLESS POSSIBILITIES TO CREATE THE CUSTOM FINISH THAT YOU HAVE ALWAYS WANTED. 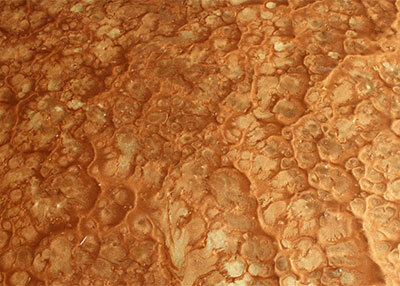 We offer a wide range of decorative floor chip flake colors and pre-made blends to choose from. After etching the concrete with the etch n’ clean solution, allow the concrete to sufficiently dry out and then apply your epoxy base coat coating and a light sprinkle of color flakes. Allow the coating to cure overnight. The final step is to apply the clear coat. You have the option of using the WBU-520 Urethane Clearcoat (perfect for interiors where harmful odor cannot be present) Or you can upgrade to the HPU 747 VOC Solventborne Urethane clear top coat (perfect for garages or areas of good ventilation). This kit does not contain a primer coat (which assists in build and adhesion). This kit is designed for superior concrete adhesion and chemical resistance for your basement or interior application! After etching the concrete with the etch n’ clean solution (diluted 1 gal of solution to 1 gal of hot water), allow the concrete to sufficiently dry out, after that apply your first epoxy coating, this will act as a primer coat will sink deep into the substrate giving your next coat (base coat epoxy) more build, and uniform coverage. After applying your base coat epoxy and color chips (comes with a medium coverage of chips), allow that to cure overnight. The final step is to apply the clear coating. You have the option of using the WBU-520 Urethane Clearcoat (perfect for basements or interiors where harmful odor cannot be present) Or you can upgrade to the HPU 747 VOC Solventborne Urethane Clear Coat (perfect for garages or areas of good ventilation). This kit is designed for superior concrete adhesion and chemical resistance for your garage! After etching the concrete with the etch n' clean solution, allow the concrete to sufficiently dry out, after that apply your first epoxy coating, this will act as a primer coat will sink deep into the substrate giving your next coat (base coat epoxy) more build, and uniform coverage. After applying your base coat epoxy and color chips (comes with a medium coverage of chips), allow that to cure overnight. The final step is the solvent-borne UV resistant urethane clear top coat. This coating will give you better chemical resistance and complete uv protection. The HPU 747 VOC Urethane Clearcoat emits hazardous vapors while curing and should only be used in well ventilated areas. Please keep windows and door partially open while drying. Turn off all ignitable devices such as hot water tanks in your garage while applying. System 4 is our most popular system that we recommend for garages and warehouses. Etch the concrete with an acid wash or floor grinder (to open up the pores of the concrete). After you successfully sweep and vacuum up the debris, apply the preprime 167 sealer in a thin coat to soak deep into the substrate, wait until dry and apply the 224V base coat epoxy, sprinkle chips on top of the wet epoxy. Wait overnight to apply your urethane clear coat. In the end, you’ll have a coat that seals off the floor and gets a good bite to the concrete, a coat that offers a high build color coat, and a chemical resistant / uv resistant layer as your finish coat. Pure Metallic - Pearlescent Metallic epoxy is recommended for restaurants, clubs, showrooms, salons, finished garages & basements. Pure Metallic floor coating is a 100% solids, two component epoxy. It is a special formulated epoxy with a metallic pigment. It is roller or squeegee applied to your floor. It is our most unique product we carry and most inquired about since we've been making it. It will definitely keep people talking about it! For more information please visit puremetallic.com. Description coming soon. Please call 586-771-6500. Thank You For Visiting! Order today! Toll Free at 1-800-227-8479. What Makes The Original Color Chips Different From The Epoxy Kits In Home Depot & Lowes? We offer endless custom options, provide you with the tools and knowledge necessary to get the best and longest lasting floor on the market today. Concrete preparation is the key and most important aspect of the process. You must chemically or mechanically profile your concrete to ensure sufficient adhesion of the epoxy. The epoxy kits you have seen in Home Depot & Lowes state that they are "no prep epoxy kits". This statement is not completely false but if you want to avoid epoxy peel-ups and extend the life of your epoxy coating, concrete preparation is a must. Use Etch n' Clean (Included in all of our kits) to open the pores of the substrate as well as remove oil and other unwanted contaminants. 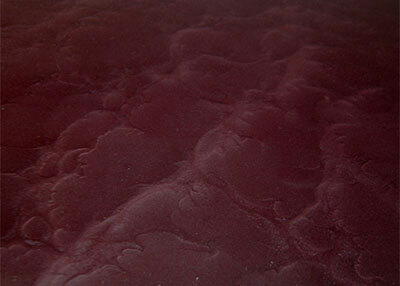 This ensures maximum adhesion, resulting in a sandpaper like finish. The ideal method for concrete preparation whether it's bare, new or previously coated concrete, would be to use a floor grinder. If you're coating concrete that has been sealed with a sealer, it is necessary to use a floor grinder to prepare the concrete. Using the floor grinder will open up the pores of the concrete to allow the epoxy to sink in, therefore achieving maximum adhesion. The second most important part of the process is using a primer coat. The epoxy kits you have seen in your favorite "Big Box" store do not offer this option. Priming the substrate will not only allow give you a higher build and uniform sheen but it will assist in adhesion, giving your floor more longevity. The primer coat is designed to sink deep into the concrete substrate and acts as a glue coat between the concrete and epoxy base coat. Essentially, this process has the same concept of priming your walls of your home before you apply your colored wall paint. We do offer similar chain store kits ("Classic") for customers that are staying within a certain budget but we highly recommend using our full ("Deluxe") kit systems. Applying a clear topcoat is a great sealer for your epoxy floor system. It protects your color chips from coming loose from the epoxy or discoloring from contaminants or sunlight. The clear coat is also easy to clean and provides a high-gloss sheen and depth that will improve the look and life of your floor. Your average store kit does not include a clear protective topcoat. In our experience over the years, customers that did not apply a clear topcoat wanted to redo their floors within as little as six months because of the aforementioned elements. 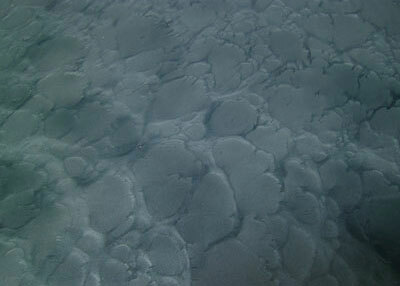 What is Pure Metallic - 100 Solids Pearlescent Metallic Epoxy Floor Coating? Pure Metallic floor coating is a 100 solids, two component epoxy that is specially formulated epoxy with a metallic pigment. It is roller or notched squeegee applied to your floor. The finished look is a smooth, glass like finish that has a unique and subtle sparkle. No two floors will ever look the same. There are endless creative techniques that can be used to create a style that you can call your own. A two-tone metallic effect which is the base coat color plus a single Pure Metallic effect color on top. A same color effect can be achieved by using the same color Pure Metallic base coat and Pure Metallic effect. Two color effects are achieved by using a Pure Metallic base coat with two different Pure Metallic effects colors on top. We limit the maximum number or Pure Metallic effects colors in our store to three. We've tested that any more than three colors become too busy and muddy. We recommend only using two colors, but if you would like a third it is available. More info at our www.puremetallic.com website. Pure Metallic is made from 100 Solids Epoxy, which is considered the industry-standard for Commercial Epoxy Flooring and not normally installed by homeowners. 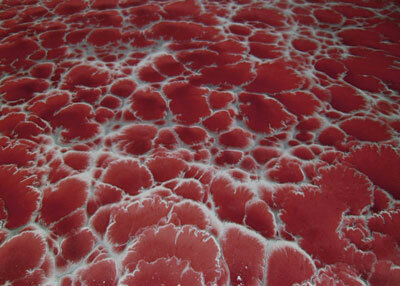 This type of epoxy, though very durable, can be difficult for inexperienced applicators. Please read the tutorials and watch the videos to prior to ordering and or installing, if you do not feel you can apply this unique coating then we recommend seeking out a local contractor to install it. What some of our customers have to say about our epoxy garage flooring! I own a small painting company dedicated to customers with high end work in mind, I have used your color chips garage floor coatings on homes owned by members of the Dallas Cowboys, and I have extreme confidence in your products. I have time, and time again recommended your epoxy floor paint products to other professionals in the area. I would qualify your product as top of the line and I use no others. Thanks for providing me with a great product to offer my customers." I just wanted to share with you guys how awesome my floor turned out. I am very pleased with the end result and I hope it stays this way for years to come. I thought I would share my before and after incase you would like to publish it on your site." Hey folks, just put the finishing touches on my garage and thought you might like the results as much as I do! You have basically turned our garage into beautiful living space with the extraordinary help of the color chips system! We spend a lot of time in the front yard keeping an eye on the kids and we love to get together with friends and family, and your floor covering has made our garage a low-maintenance, spill proof, outdoor entertaining, kid friendly, "dad so proud of", outdoor living room! Thanks so much! Your product was just as described with no questions to ask! Thanks for offering such an awesome product!!!! Just wanted to thank you for a wonderful website. I did a lot of research before I painted my garage floor and was really worried that I would not be able to do it myself. However, the quotes that I got from contractors put me in a position that it was either do it myself or not have it done at all. Then I found your website, your epoxy floor system videos and how to do each step and felt pretty comfortable that I could do it. I have one more step in the process which is to apply the urethane and I will be done. My neighbors call me the "queen of the color chips" since I really applied them heavy. But I like it that way. One warning "do not throw color chips on a windy day". We would love to be able to sell our epoxy garage floor coatings and paints to everyone but some concrete surfaces are not suitable for any type of paint or coating. So before you spend your money on any epoxy coating or paint please view our Helpful Hints section first. Read how to PERFORM A MOISTURE TEST. If you are an independent contractor or paint store interested in contractor pricing, you may qualify! Contact us by phone at 586-771-6500 or Toll Free at 1-800-227-8479. Thanks!